Thamsanqa Rutherford Jali was born in Lamontville, Durban in 1955, seven years after the 1948 elections that brought the National Party to power and consequently formal apartheid. At a young age his interest in art was fuelled by craft lessons at school and he began creating his own toys. Teachers brought objects into the classroom that sparked Jali’s imagination and he taught himself to carve wood and bamboo into functional items such as spoons and ashtrays. When he managed to get hold of coloured pens and wax crayons he drew on wood panels and collected waste material from the surrounding streets to construct wire cars. Jali’s grandmother may have influenced his interest in creativity; she would build scarecrows and aeroplanes that she would hang on the mielie crop and from branches in the yard. She made her own clothes from hessian sacks and Jali describes her activities as outsider art, something that would later preoccupy him. Still in primary school and having moved to Clermont, a black middle-income township, Jali embarked on an internal conversation about perspective. He began visiting the white suburb of New Germany on a Saturday where he would sit and draw houses, trying to master perspective. He comments: ‘comic books showed perspective and I could see you could actually walk on that road but didn’t know how to achieve it ’. The manicured gardens of ‘white’ New Germany fascinated him – not that he was particularly conscious of difference, rather his interest was aesthetic. It was at this young age and in this posh white suburb that Jali defined a metaphor that has continued to drive his artistic preoccupations, that of the building. During this time his interest in drawing was ignited by a friend’s father who was a draughtsman. His father however did not share the same enthusiasm for Jali’s artistic passion and tried to dissuade his son from drawing and after a disastrous school report the young boy was packed off to a strict boarding school, Dlangezwa, where study took priority. His father did weaken though and bought a camera and art supplies to accompany the lad. The family moved to Richards Bay in 1976 and following in his brother’s footsteps Jali enrolled to study law at University of Zululand. 1976 However saw the Soweto uprising and the university cancelled classes. When Jali began his Bachelor of Law degree in 1977, he had no idea that art could be a profession; being in boarding school had also limited his understanding of the art world – he’d never had an outing to a museum or art gallery. 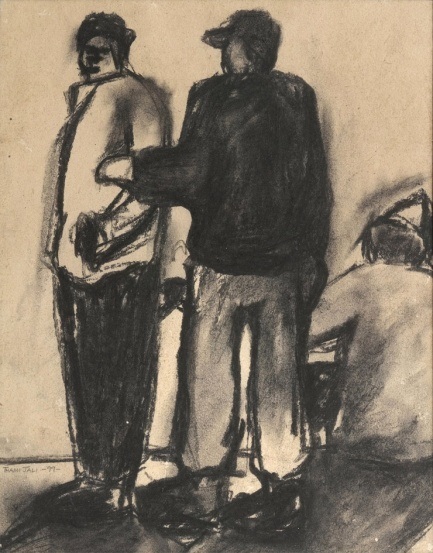 Apartheid South Africa was not a place that encouraged black youth to investigate vocational options and he had no idea that there were established institutions and contemporary spaces for art. After two years Jali left university with the realization he was not committed to the law degree and found a position as a clerk working for the Zululand Government. This role did not bring any satisfaction and with family’s support he again registered at the University of Zululand. This time he embarked on a Bachelor of Arts degree majoring in psychology and philosophy. He describes this path as enlightening and revealing. The foundation course offered metaphysics and social critique and it was through the latter he began to see how art could be used to construct and build ‘life’ statements and to tell stories. The chance discovery of a library of art books in the philosophy department exposed him to artists such as Kathe Kollwitz and German Expressionism, Picasso and South African artists Jacob Hendrik Pierneef and Irma Stern. Finally, it was when he encountered the Zululand Festival of African Arts, an annual highlight of the University, that his fate as an artist was settled. Each year the Rorke’s Drift stable of artists migrated for two weeks to the university for the Zululand Festival of African Arts. They worked in public and mounted their works in the exhibition spaces and that year spent their nights in Jali’s room drawing and talking. It was an epiphany for Jali; he had found his life path – to be an artist. 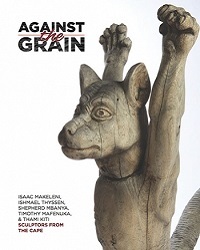 In 1981, against his family’s wishes but with their financial backing, Jali enrolled at the Evangelical Lutheran Art and Craft Centre at Rorke’s Drift, north of Dundee in KwaZulu Natal. Jali describes the two years he spent at Rorke’s Drift as being… ‘The best two years of my life, I found fulfilment, just by being there. I became a very happy human being there.’ The experience transformed him in several ways: the decision he’d made that art was to be his life path triggered him to adopt a critical approach to life; the radical change in environment from city to rural affected him greatly and as peripheral distractions were pushed aside, he had time to think and form ideas. He was working intensely and established a strong work ethic as well as forming strong lifelong bonds with other artists there. It was here at Rorke’s Drift that Jali’s sense of community was ignited – he realized that he had to give back; he would become a teacher/a mentor. At Rorke’s Drift. Jali on the right. Jali had seen a large mass of wood in the studio which even in its raw state looked like a pregnant woman; it seemed as if it was waiting for him to give it shape. He worked on the sculpture day and night for 6 weeks and later in the year was awarded first prize at the Festival of African Arts for the work entitled ‘Mama (Birth)’, a sculpture reflecting gratitude to all mothers. Jali was on his way. After graduating from Rorke’s Drift at the end of 1982 with a Certificate of Fine Art, Jali registered for a Diploma at Natal Technikon in Durban to study ceramics in 1983. Although he’d studied printmaking painting, sculpture and drawing at Rorke’s Drift, the centre had launched a ceramic project for the local community and it was this that piqued his interest, he wanted learn skills and ceramics offered the complexities of the wheel and the kiln. Thami Jali and Sandile Zulu became the first black students to register in the Natal Technikon Fine Arts Department. Zulu left after six months and Jali stayed two years. 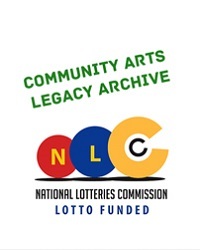 Ever the innovator Jali, along with fellow artists, Bongi Dhlomo, Vuminkosi Zulu, Sandile Zulu, George Msimang and Wiseman Mbambo founded Arts Communication, an organization that staged exhibitions where it could. 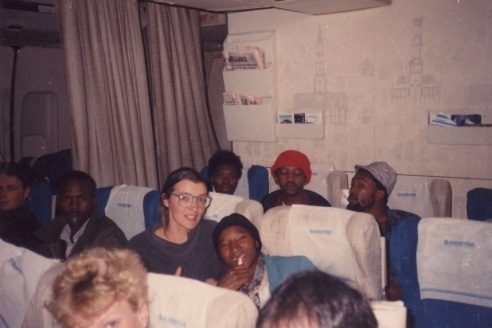 Shows were held at the Executive Hotel in Umlazi and also in Swaziland. On a personal level there were challenges for Jali, initially he’d found accommodation through the intervention of the Dean Hugh Dent who was able to secure a room with the Technikon labourers, however this circumstance was not conducive to his studies and he moved back to Clermont. The United Democratic Front (UDF) was very active at this time in Clermont and Jali got involved with the Clermont Youth League and became Vice President in the same year. Although he had a strong voice in the structure it was impressed upon him there was no space for art in politics. The struggle was at its height and ironically while art was not given space as a form of protest in this circumstance, T-shirts and posters were hotly in demand! 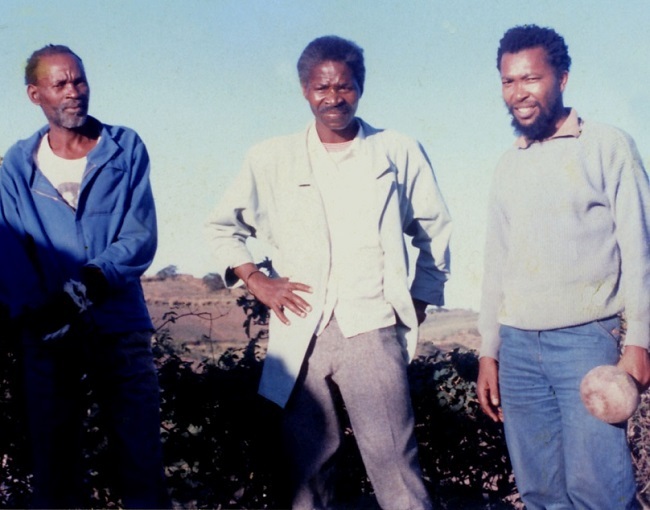 In1984 Jali decided to resign his position as Vice President and with Sifiso ka Mkame, founded the Clermont Art Society, an organization frowned upon by the Youth League. This organization instilled in the community knowledge of the local talent Clermont had to offer – song, craft and other artistic mediums were encouraged. But it wasn’t long before Jali was on the move again: through an exchange between Soweto and Clermont, Mpolokeng Ramphomane came to teach in Clermont and Jali relocated to teach at the Mofolo Art Centre in 1987. While his focus at this time, 1980s was strongly on ceramics he was producing other work; ‘Street Cattle I’ 1983 shows cows ambling along a road. The incongruity highlights a country perpetually caught between rural and urban lives as the legacy of Apartheid’s migrant labour policy continues to impact development. A general strike forced Jali out of work and this led to a period of great hardship in his life where for 11 months he found himself literally living on the street. At the beginning of 1989 he approached Kim Sacks who offered him studio space with access to equipment and material in exchange for a day a week for her commercial arm producing soup bowls. Spiritually battered at this juncture, Jali nevertheless managed to re-launch his career focusing on producing a new body of work. Approached by FUBA (Federated Union of Black Artists) curator Clifford Charles, Jali shared an exhibition with Samson Mudzunga in May exhibiting works he had made in the studio and works salvaged from the Molofo Art Centre. In ‘Agony‘ 1990 we have three different views of a man: the first is a stylised figure being strangled with barbed wire; the second is a half of a head with no clues as to why half of the identity is missing; the third image is a medical-type cutaway. These are different kinds of excavations into identity with Jali ultimately lifting skin, muscle and sinew to get to the essence of human pain. ‘The Dreamer/ Creation at Sunset’ 1990 is the birth of an idea. From a tangled root a face begins to emerge; the visage is covered with what appears to be a swarm of bees. The idea is suspended in space by the knot of root which on closer examination could also be a mass of neurons. Phallic shapes wake in the core as the sun wanes, giving up its symbolic generative power. Jali’s rare use of the human form is seen here set against a surreal landscape in which the ambivalence of twilight shows transition and ultimately the dominance of time. 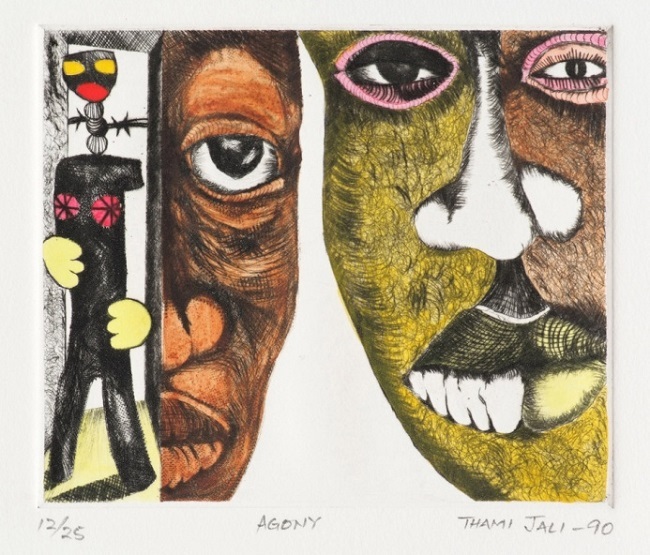 In 1990 Jali accepted an invitation to take part in the Zabalaza Arts Festival in London under the Cultural Wing of the African National Congress led by Wally Serote. This was his first encounter with mural painting and he returned to Durban with a vision and desire to see murals in his own city. He had met Terry-anne Stevenson in 1988 at the African Art Centre and founded Community Mural Projects with Terry-Anne and Ilsa Mikula in 1990 with the mission of offering job opportunities to the underprivileged in addition to brightening the community. 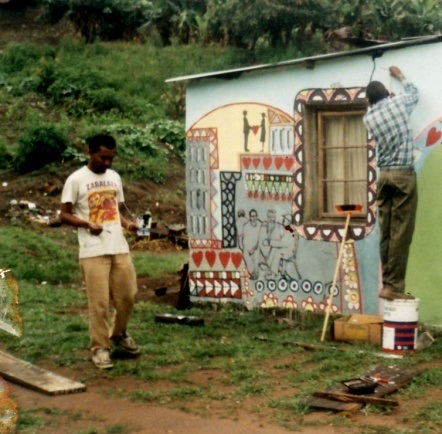 Their first mural project was completed at the Khayalethu Resource Centre in Kwangcoloswi, Valley of a Thousand Hills. 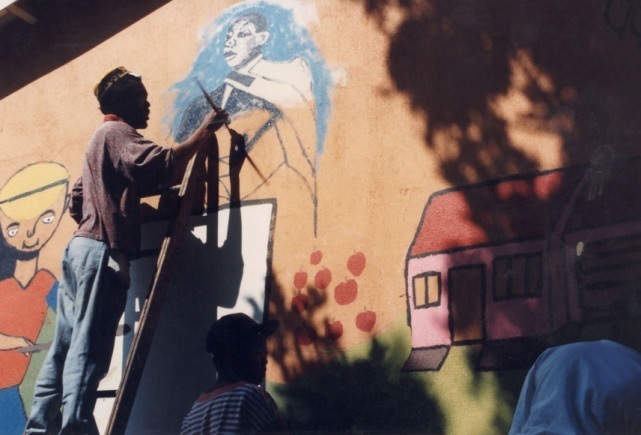 Community Mural Projects managed and administered by Stevenson was an initiative to empower as many artists as possible and a register was established so artists could be rotated. Funding came in to create murals as part of upgrading programs while others like the Durban’s central prison wall project commissioned by legal academic, David McQuoid-Mason, focused on human rights. While working at the Valley Trust in Botha’s Hill, Jali happened to page through a Farmer’s Weekly and came across an article on ‘outsider artist’ Nukain Mabuza. 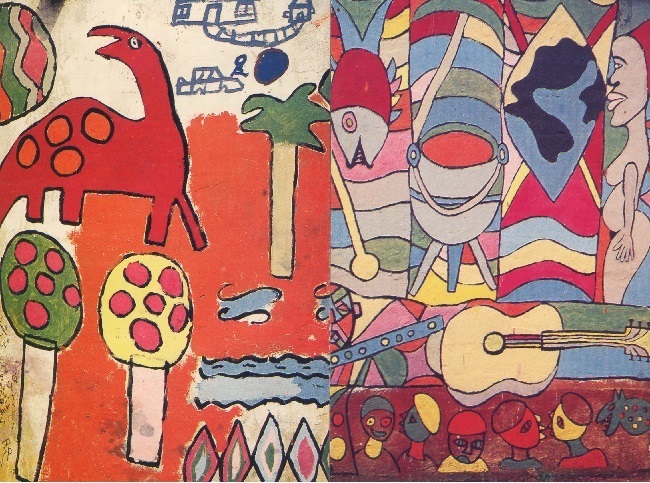 The aesthetic vocabulary used by Mabuza made a strong impact on Jali who would later base a project on the work of this unique artist. 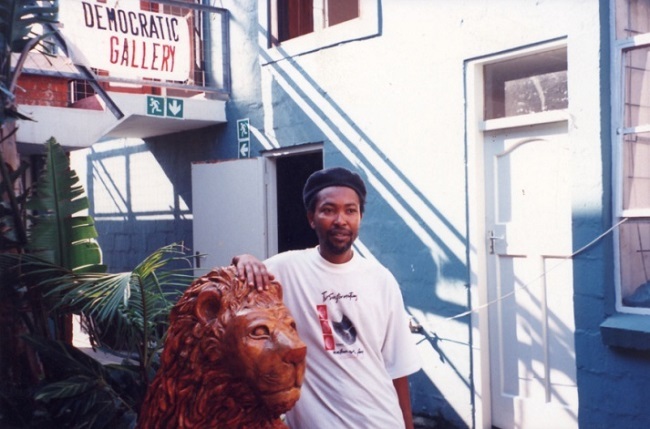 Jali left Durban for Johannesburg again in 1992 to set up the Amakhona Arts Centre in Florida. In 1988 he had attended a Thupelo workshop at the Afrikana Museum that was closed for major renovations. Discarded building material from the site formed the basis of the workshop and this approach was later to find resonance in his output. It was a rich experience for Jali and led to his attendance at all the Thupelo workshops between 1988 – 92. He met a participating French artist, Franka Severin who was friendly with Fikile Skotsana, the mother of his daughter. Severin invited the pair to set up an art centre in a house she owned where, it was hoped, a residency program between the centre and artists from KZN could be set up. Unfortunately the project collapsed through lack of financial support. By this stage Jali’s relationship had failed and his financial situation had become dire, as the work at the Amakhona Art Centre had been unpaid. He returned to Durban in May 1994 following the first democratic election – again a two-year period had featured in Jali’s timeline. 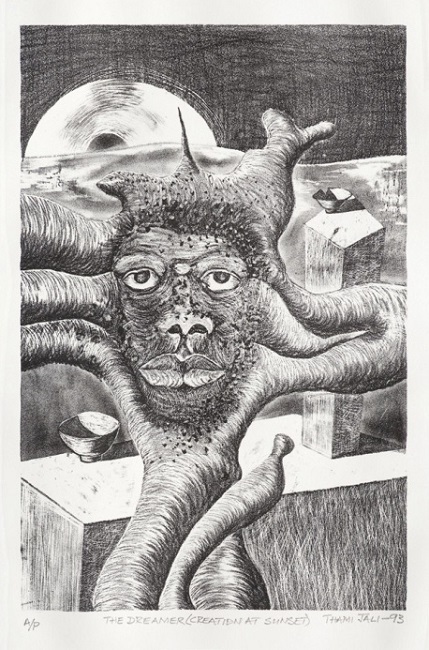 In spite of setbacks there were however positive aspects – he had produced a major work titled ‘Visit to Rob Island’ referencing Mandela following the vote, a work which was later to take him to India. Back in Durban yet again Jali immediately teamed up with Community Mural Projects who were painting two train coaches for the Grahamstown Arts Festival. 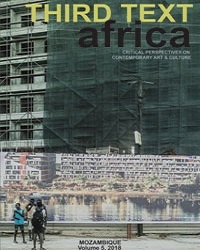 He joined a group of artists living at 38 Essex Road in a house owned by architect Paul Mikula and saw the potential to transform the space into both living and exhibition quarters mirroring the model used at the Amakhona Art Centre. The 38 Essex Road Gallery was informally launched and with this artists’ space began a period of great fertility. 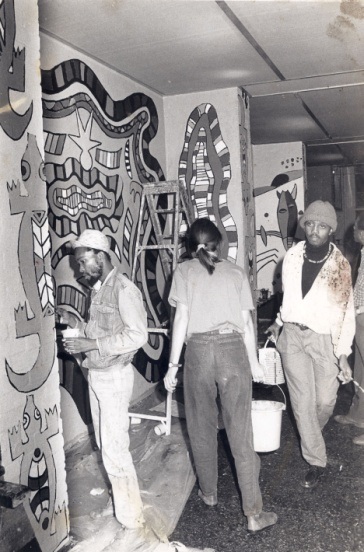 Joseph Manana, Gabi Nkosi and Trevor Makhoba were a few of the artists who set up exhibitions in 38 Essex Road. The energy spilling out from the new democratic dispensation seemed to breathe life into small artistic initiatives across previously marginalized racial lines. One such project involved a group of young recently graduated artists from Technikon Natal: Simon Allen and fellow students who established The Flat Gallery in Botanic Gardens Avenue opposite the art school. Following the success of mounting five exhibitions featuring five artists at a time the NSA Gallery asked Jali to coordinate an exhibition of all the artists who had participated in shows at 38 Essex Road. The show titled ‘38 Essex Road at the NSA’ opened at the NSA Gallery with Jali characteristically involved in multiple projects including painting the first mural at the BAT Centre where he was appointed the first visual arts coordinator, a position he held for a year. In 1997 Jali was invited to India through the Department of Arts & Culture to exhibit in the New Delhi Triennial. The dire poverty of India shocked Jali but he also saw great creativity in the society and that inspired him to attempt to translate the creative model and find South Africa equivalents. In ‘Watching’ 1999 three figures are placed on a street but with no other context, seemingly outside of the flow of society. Isolated and static they have no agency and may merely observe. 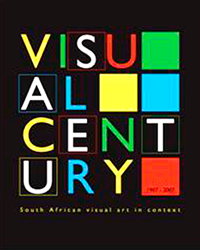 Following his return from the Triennial he continued to work with Community Art Projects until 2000 when he relocated to Mpumalanga to set up a two year project with the Department of Arts & Culture. Memories of his grandmother and his fascination with ‘outsider’ art were at the forefront of this project design. 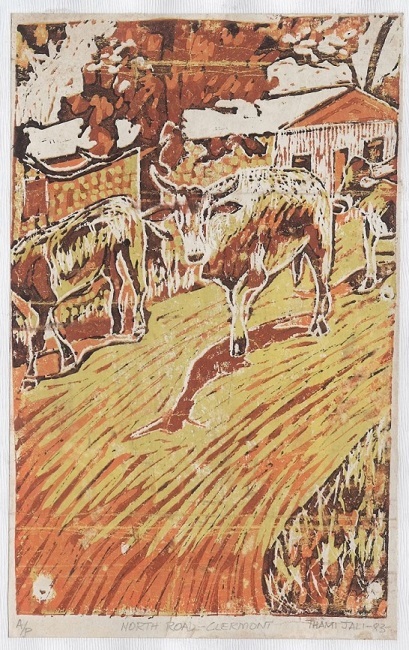 Recalling the article in Farmers Weekly about the ‘outsider’ artist Nukain Mabuza whose ‘painted mountain’ near Barberton had so moved him Jali compiled a proposal suggesting the use of Mabuza-inspired designs on ceramic tiles to propel this artist into the mainstream of South African art. The Matsulu Art Centre in Nelspruit was to be the centre of operations and Jali set about organizing the logistics of the project and it was finally launched in June that year. 18 young people between the ages of 20 to 30 started the Matsulu Ceramic Group. The tiles were destined for a monument to be set up in front of the Legislative Assembly but unfortunately funds ran dry and the project was never completed The project nevertheless left a strong mark on Jali. Apart from his own research Jali had listened to numerous lectures given by John Clarke who himself was writing a publication on Nukain Mabuza. 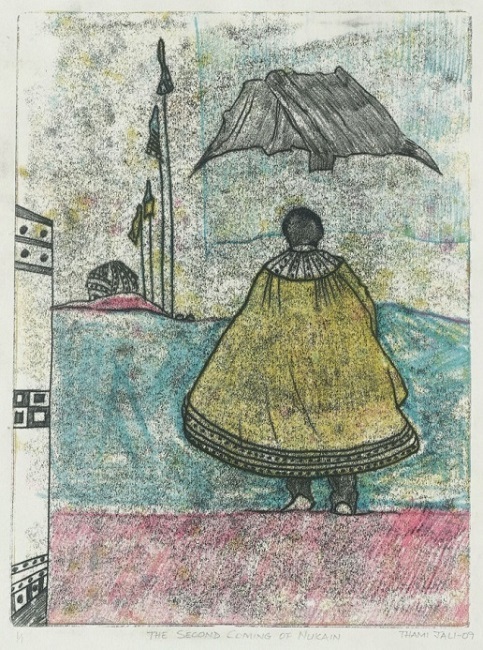 These influences were bound to find an artistic response and Jali’s series of works including ‘The Second Coming of Nukain’ acknowledges Nukain Mabuza’s artistic vocabulary. The motif of the symbols and shapes adopted by Nukain feature regularly in Jali’s artworks by way of celestial inference. Thami Jali, The Second Coming of Nukain, 2010. In the work ‘The Second Coming of Nukain’ 2010 a figure in a biblical cloak has his back to the viewer: it’s not certain whether this is Nukain Mabusa himself or possibly a messiah. The mountain peak looms in the distance along a road flanked by a row of flags heralding the figure’s arrival. The lower reaches of the mountain are undefined, making the summit appear to float, unattainable. Nukain’s work, a massive painted boulder is visible in the distance, a beacon to guide the figure. Jali spent two more years in Nelspruit where he supplied an arts and craft cooperative, Artists Village with ceramic ware. Following this he returned to Rorke’s Drift at the request of a former colleague from Edgewood College. In 1997 Jali had been resident artist at Edgewood College in Pinetown and a visit with students and Dawn Robertson, lecturer in the art department, to Rorke’s Drift for a week planted the idea of resuscitating the ceramic studios. People in the complex were desperate for work and when Dawn Robertson took up the position of national coordinator of the MAPPP Sita project, the opportunity arose to get the ceramic studios working. The art school had closed at the end of 1982 with the departure of Jay Johnson just as Jali had completed his second year. Three studios, weaving, textile printing and ceramics were not in regular use and discussions between Robertson and Jali led to his acceptance of a two and a half year contract with Rutec with funding to restore the ceramic studio and to teach. Jali specifically taught younger ceramists at Rorke’s Drift with the intention of ensuring continuity. Originally the centre had oil kilns and with the introduction of electric kilns experimentation and modification was essential. When his contract was complete in January 2007, Jali returned again to Durban and immediately started looking for studio space but would only find it in 2009 when he was invited to join Zamani Makhanye, Sifiso ka Mkame, Lindelani Ngwenya and Paul Sibisi at the Umkhumbane art studio in Cato Manor. This studio continued for two more years when the group disbanded. In 2012 Jali’s mother, due to failing health, moved out of the family home to live with her daughters. This presented an opportunity for Jali to open his own studio in the house. This he did with typical generosity – it’s a space open to artists both young and old. Jali has come a full circle. Back in the environment he grew up in Jali has rekindled his interest with waste gathered from his surroundings. He uses this alternate material in layers, building up statements in the social fabric. A prime example of this “recycling” is how metal panels discarded from abandoned cell phone company containers form the ground for the work ‘Eish! Marikana’ and a series he has titled The Black Painting Series. In ‘Eish! 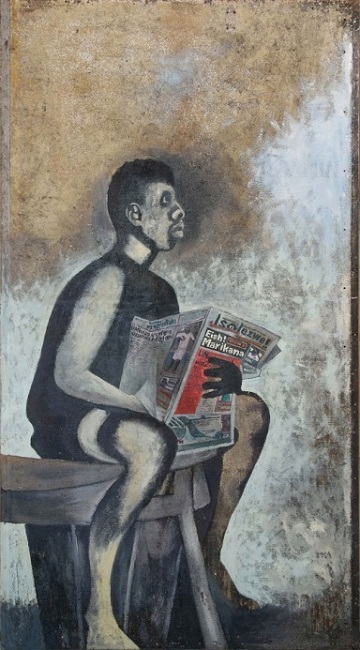 Marikana (The Black Painting Series)’ 2013 the subject, presumably a miner, is reading about the tragic shooting at Marikana. Dressed only in shorts and vest the man is vulnerable without his mining gear. Gun smoke wafts through the frame blurring time and location, connecting the subject to the shooting. The shocked man cradles the newspaper with its blood-red headline as one might hold the victim of a shooting. In the foreground of ‘Run Baby (The Black Painting Series)’ 2013 an assertive male figure has turned his back on a woman but looks around to dismiss her. In the background a hazy figure apparently pregnant seems to represent a past. The tone of the work is dark suggesting a kind of infernal or underworld setting. Mined from the earth the sheet of metal has been mechanically processed in the service of consumers, initially to transport goods from country to country and then to temporarily house commercial enterprises. It’s not bricks and mortar, not secure social collateral but rather symbolic of the rapidly changing face of township life, transient and modular. Material that has been torched is for Jali even more compelling….derelict domestic sites that have burnt down; the neglect of the space and his subsequent usage of the material evokes a sense of renewal in him. In the eighties when the struggle was at its peak in South Africa, Clermont did not escape this violence and many homes were destroyed through fire. Jali speaks of the political intolerance he observed then and draws parallels with the Clermont in which he lives now. The environment is still violent and dangerous.